Yuri Gagarin Training and Education Centre in Kamchia. 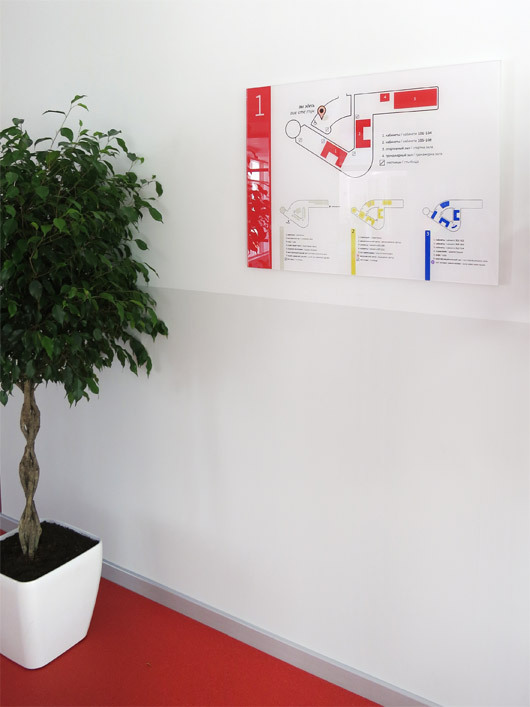 Developing an internal navigation system for the newly built training and education centre in the facility. 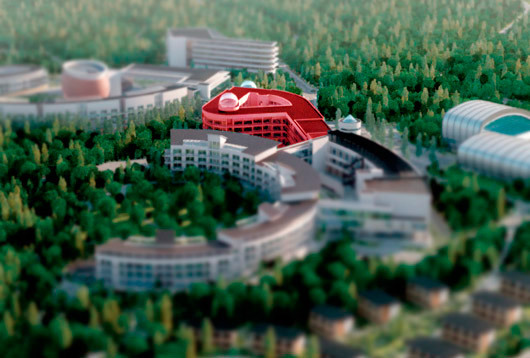 The centre includes: a school, a planetarium, an aviation and space centre, and a museum of Slavonic culture. 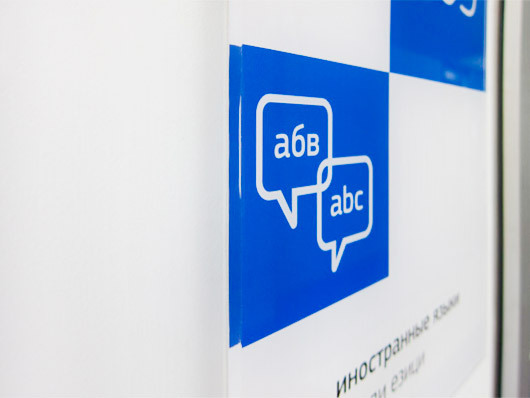 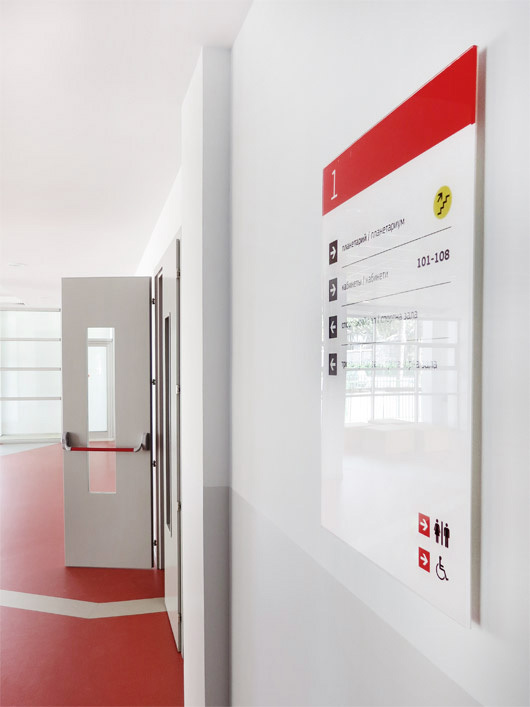 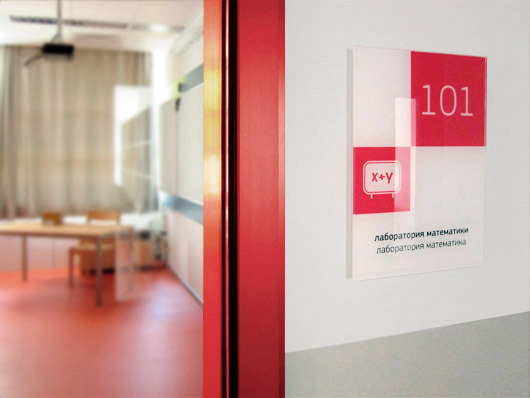 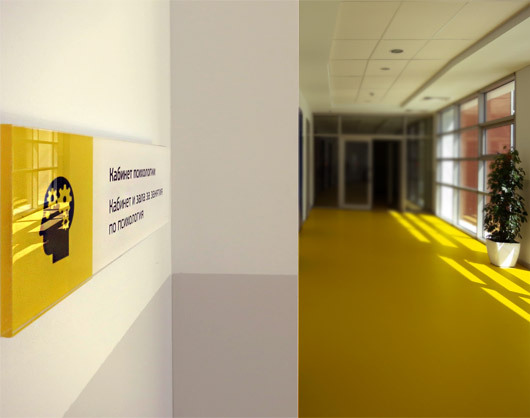 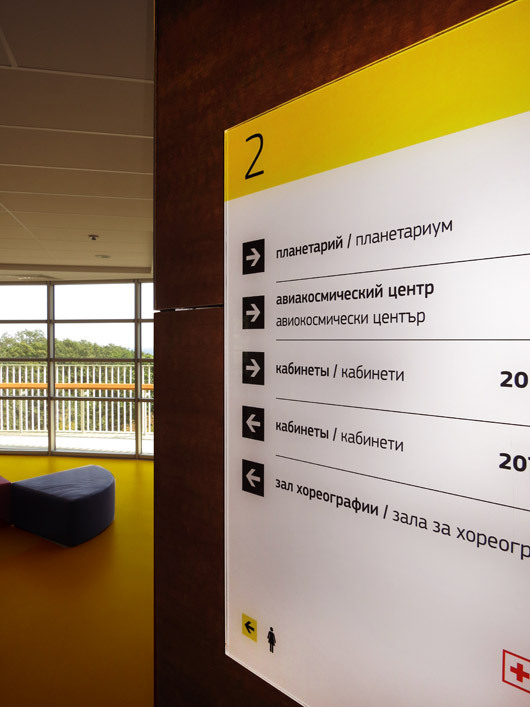 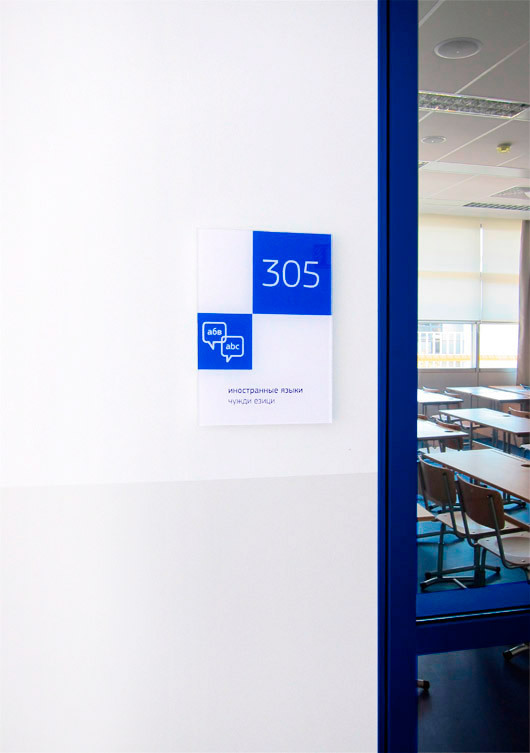 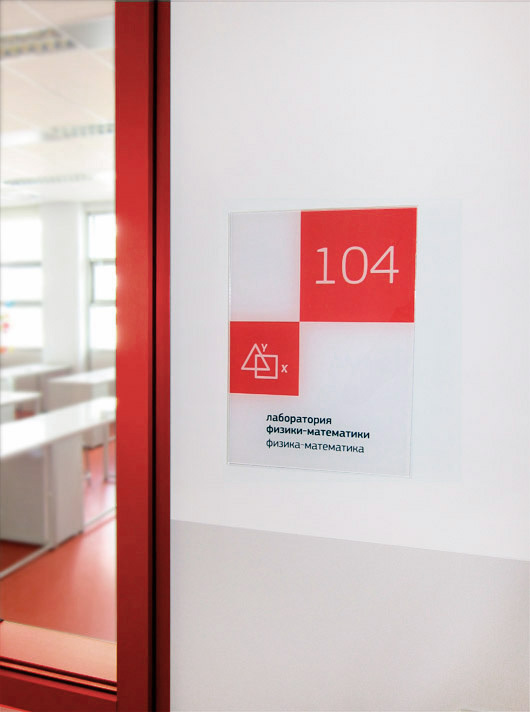 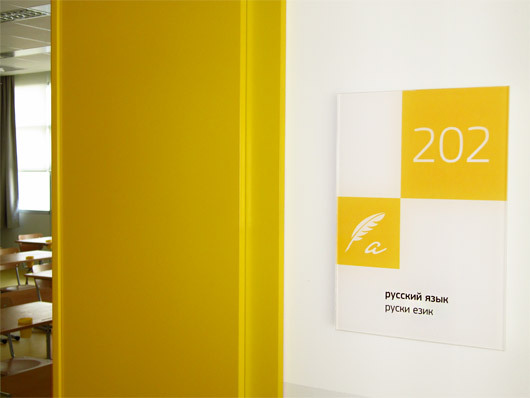 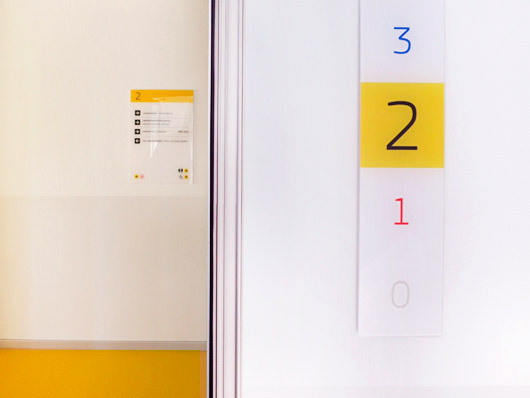 Following a detailed analysis of the architecture of the building and multiple site visits, we developed an overall navigation solution: direction signs to all study halls and administrative premises, floor plans and highlights, and information boards in key locations on and between floor levels. 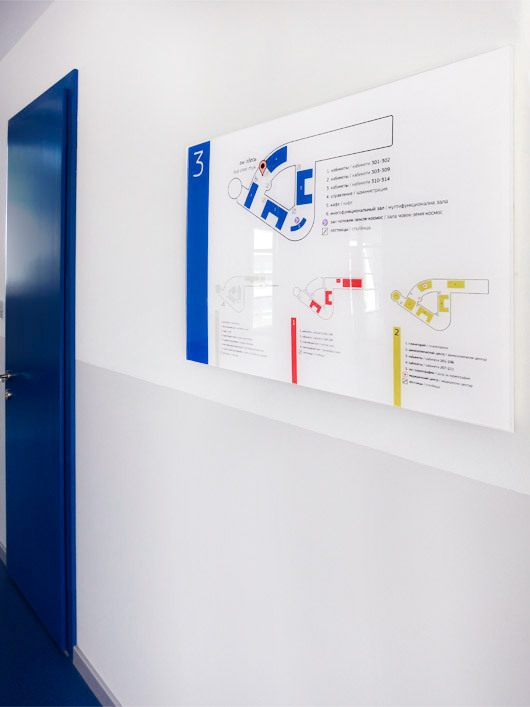 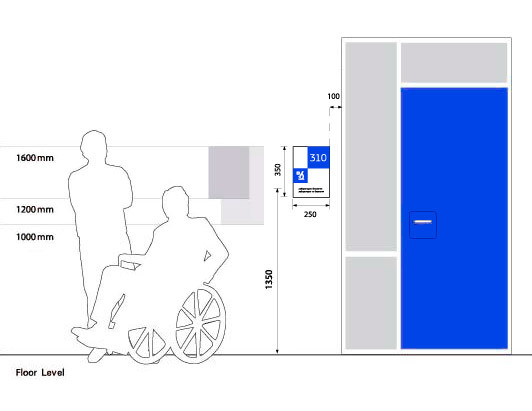 We made more than 150 individual sign boards, situated in careful consideration of human flows and sight levels of both standing and disadvantaged people. 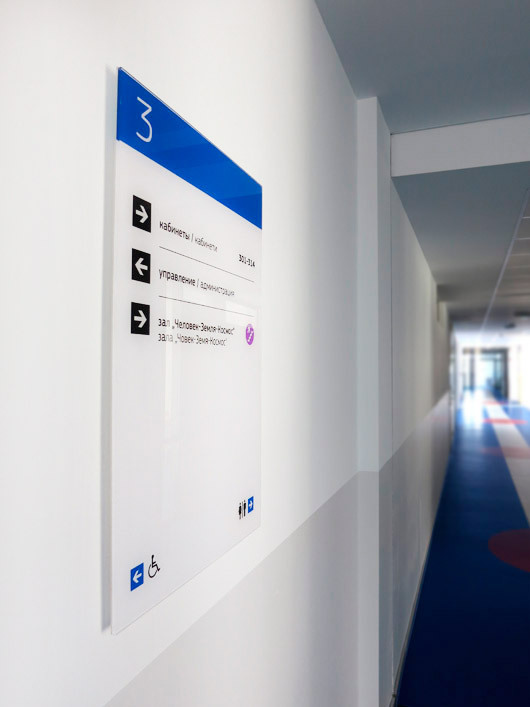 The boards are colour-coded in line with the architect's design - the floors and the doors on each level are coloured differently.